Florida has one of the highest uninsured motorist populations in the country. Despite state laws requiring drivers to maintain minimal auto insurance covering personal injury or property damage, many drivers simply ignore this obligation. Even if drivers do have the minimum required coverage, the benefits frequently will not be enough to adequately cover all of the medical expenses and other costs associated with an accident. This situation places an unfair financial burden on innocent victims. 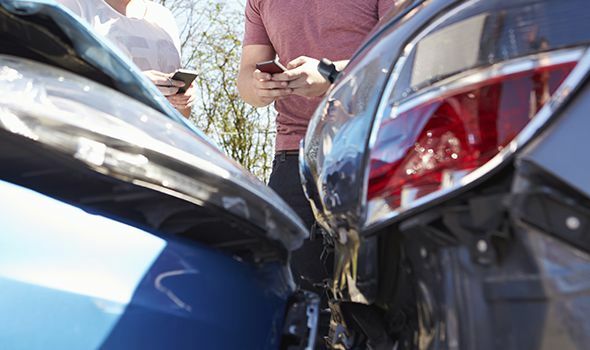 At Heintz & Becker, our car accident attorneys believe that auto accident victims should not be forced to pay for the negligence or carelessness of other drivers. If you were injured in an auto accident with an underinsured or uninsured motorist, we can help. Contact our firm to schedule a free, no-obligation appointment with one of car accident lawyers in Bradenton or Sarasota. You may be able to pursue a claim with your own insurance company. However, you may find that your insurance company is more concerned about its bottom line than your needs. Your insurer will work to minimize its financial culpability. Even with personal injury protection (PIP) coverage, known as no-fault insurance, the benefits may not cover serious injuries. Before you find your insurance claim is delayed, underpaid or wrongfully denied, we encourage you to speak with one of our auto accident attorneys. We can help you overcome the obstacles preventing you from securing the compensation to which you are entitled. Underinsured motorist coverage is not the same as uninsured motorist coverage. Underinsured motorist coverage applies when the person who caused your accident has insurance but the limits aren’t high enough to compensate you fully for your losses. Florida requires that all automobile policies offer underinsured motorist benefits. This means that your own policy may pay the amount necessary to fully compensate you for your injuries over and above the amount paid by the at-fault party. Your insurance carrier then has the right to sue the underinsured driver to get the money back. We understand the complexities of underinsured motorist law and the processes involved in pursuing a claim. We frequently obtain underinsured motorist settlements in cases in which the insurance company claims there is no underinsured coverage. To schedule a free, no-obligation consultation with one of our car accident attorneys in Bradenton or Sarasota, call us today at 941-748-2916.